The major OS update will also include a better Windows Store, Windows Hello login, and continuum functionality for easy switching between tablet and PC interfaces on convertibles. As of now, if you own a Windows Phone smartphone you can ask Cortana about the Windows 10 release date and she’ll give you an answer. Windows 10 comes on July 29 and will be a free upgrade. In fact, if you have a Windows 8-running PC or slate, as of today you can notice a new Windows icon next to your clock. 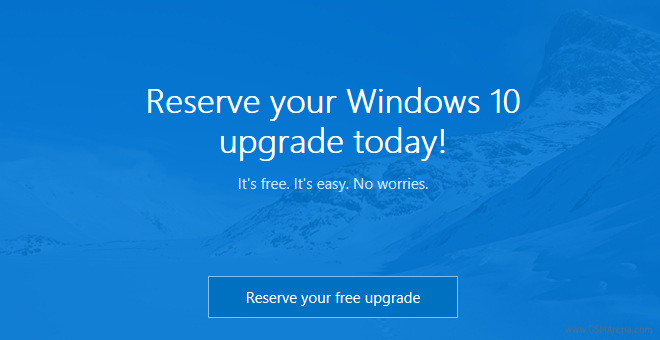 It will allow you to reserve your Windows 10 update and will download it for you the minute it becomes available. Neat!